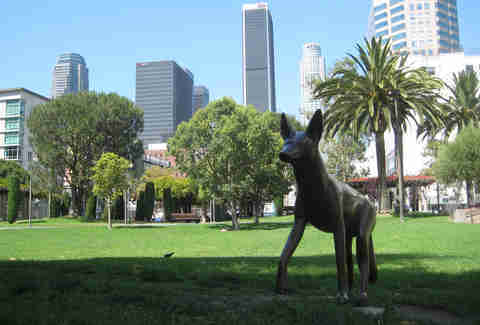 Located in the trendy NoHo Arts District, this park offers you a one-stop-shop for all things fitness -- including a near-one-mile track and an area equipped with machines for pull-ups, dips, chin-ups, sit-ups and more. Bring a mat or blanket to complete your workout with some stretching on the grass. If you’ve got a group, the park also offers basketball and tennis courts, as well as a skate park. 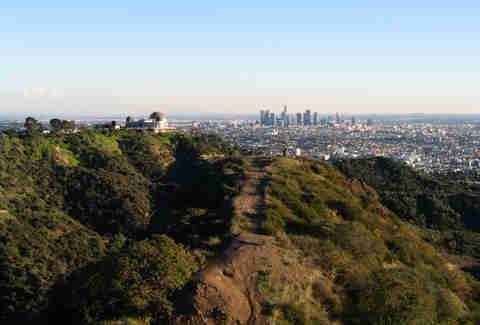 Griffith Park is a perfect spot for all things cardio: first, take a bike ride around the nine-mile bike loop, or hike on one of the many hiking trails. Then finish your workout with some short hill sprints on the hills near the baseball field. 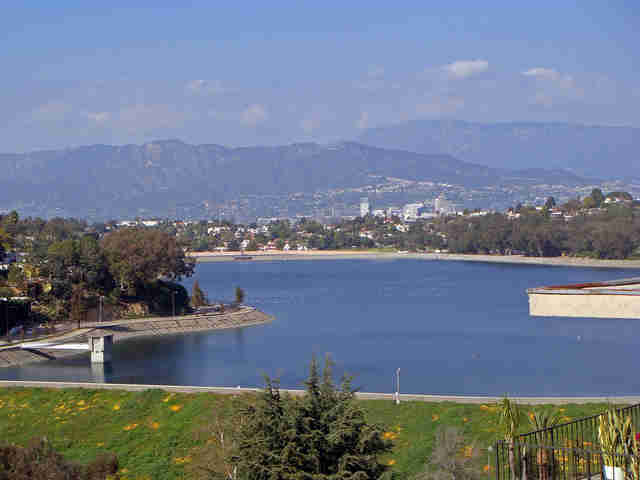 The Reservoir (also one of our picks for the most beautiful running spots in the city) is a great spot to be your own personal trainer by adding speed intervals as you walk/jog around the 2.2-mile path. For example, if you’re not much of a runner, try walking at a brisk pace for 3.5 minutes and then run for 1.5 minutes. If running is your thing, try adding in 30-second sprints throughout your run. You can also bring resistance bands (cheap and available for purchase at any sporting goods store or a local Target) to get in some strength training such as bicep curls, tricep extensions, shoulder presses, and squats. It’s easy to get a full-body workout right in the middle of Downtown at Grand Hope Park. Jog the sidewalk trail, run sprints in the grass, do step-ups on the park bench, and make use of the outdoor gym equipment, which includes ab benches, chest press dip bars, etc. Can’t decide whether you’d rather hike or climb stairs? 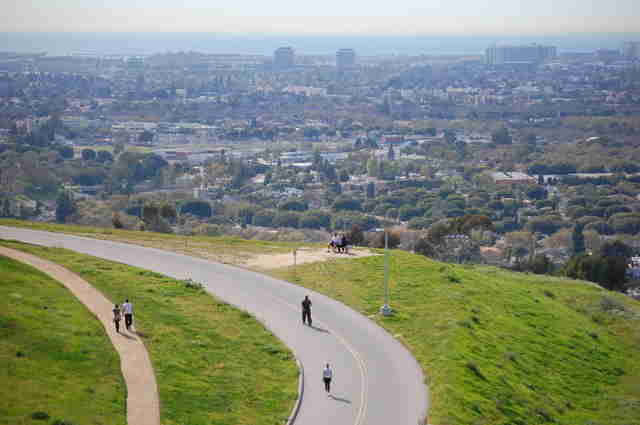 At the Baldwin Hills Scenic Overlook, you get to do both: take the 282 stairs to the hiking trails at the top (and if you have any stamina left, hike one of them), all while enjoying one of the most beautiful views of the whole city. Want to work your legs and glutes while getting your cardio? 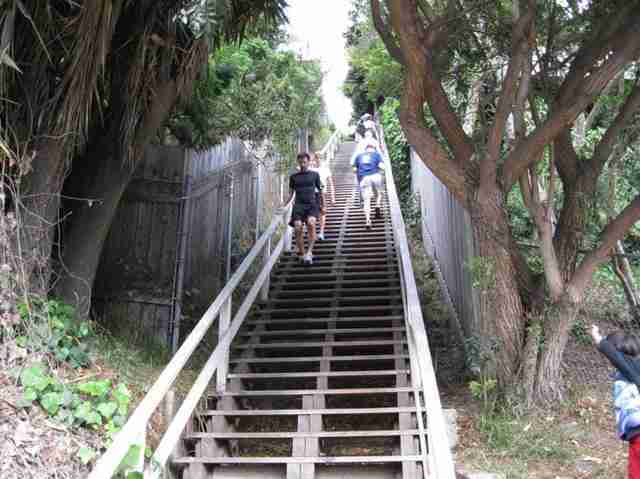 Then the popular Santa Monica Stairs are for you. Here you have your choice of two sets of stairs: the wide wooden stairs (best for beginners), or the narrow concrete stairs, which challenge your balance and agility a bit more. Add variation and intensity by taking two stairs at a time, by running, or even by jumping the stairs. Not only can you take advantage of the inclines and declines of the running trails at Pan Pacific Park, but you can also get your cardio in at the Fitness Zone (the official name of the outdoor gym areas that the city has placed in multiple parks throughout Los Angeles). For a great 30-minute workout, hop on the elliptical for five minutes, do 15 reps on the chest press, 15 standing squats, 15 reps on the pull-down machine, 25 crunches on the ab bench, and repeat three times. This 22-mile stretch from Pacific Palisades to the Redondo Pier gives you the chance to walk, run, bike, rollerblade, or (if you’re really good at balancing equipment) all four. 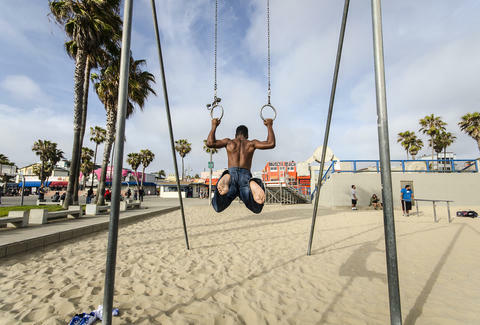 You can also stop along the way to challenge yourself to a rope climb or pull-ups, or show your strength on the rings just south of the Santa Monica Pier. Looking for a shorter but still-challenging route? 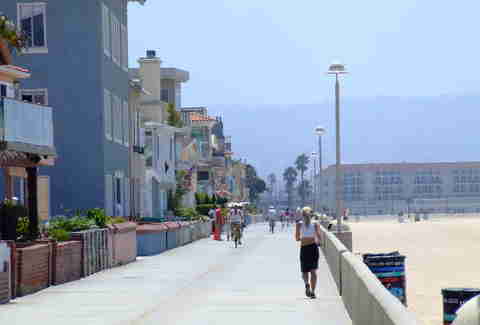 Try the three-mile run in the sand from the Santa Monica Pier to the Venice Pier. Natalie Richardson is an LA-based personal trainer with 20 years of experience. Her clientele includes celebrities, athletes, and entertainment professionals. Find her online at FitnessNatalie.com.